IT’S THE PERFECT TIME TO GO CRUISING! Take advantage of this opportunity to realise your dreams, and go cruising on your new boat as soon as this spring! 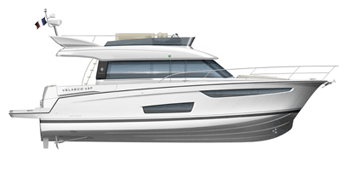 Jeanneau is launching these exceptional “JUST IN TIME” offers on the NC9, NC14, Leader 30, Leader 46 and Velasco 43F, available now through May 31st, 2019. * This exceptional promotional offer is valid at participating dealerships through May 31, 2019. Reserved for individual sales, this offer is not compatible with any other current offer, not applicable on trade-ins, and limited to available stock. Pricing is based on recommended public prices for A2019. VAT may vary by country of purchase.